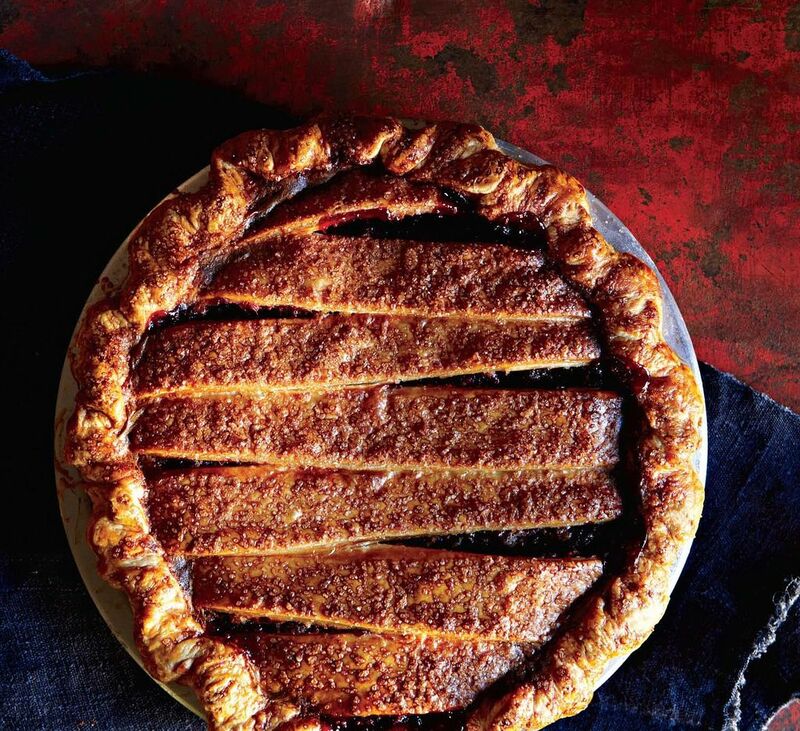 For #PieWeek, our guest editors are Emily and Melissa Elsen, the pie mavens behind Four & Twenty Blackbirds in Brooklyn, NY. They will be sharing recipes all week from their first cookbook, and giving away a copy each day! Today: Pie Week was fun -- good thing the Holidays are around the corner. Don't forget: Today's your last chance to win a copy of the new pie bible. It's hard not to bring a smile to someone's face when serving up a slice of homemade pie. Thanks to the new Four & Twenty Blackbirds cookbook, we have the power to recreate the feeling in our kitchens, with confidence. 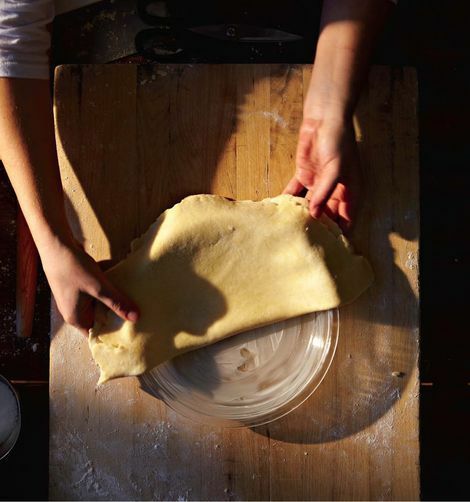 This week, our guest editors reminded us that getting a little creative, staying seasonal, and mixing some love into your dough is the best way to come out on top of the pie game. More: Another foolproof pie crust, from America's Test Kitchen. pie crust makes or breaks it, and you can put almost anything you like inside. I love pie because it's the first real food I made. I spent a summer in college getting my heart broken in the middle of nowhere, far away from friends and family. I didn't know how to make anything at the start, but, needing something to do, I learned to make pie. It was simple and forgiving and its flexibility allowed me to make either dinner or dessert. It made me feel like I knew what I was doing; it got me through. The best pies I've eaten were in Germany and now when I make or eat pie, I feel sentimental about that country where I once lived. butter. the best pie crusts are the butteriest ones. and lets face it, savory or sweet, everything is better with butter as its base. Whatever the occasion a pie will suit. A pie can be sweet or savory. There's nothing better than a chicken pot pie on a chilly night. The smell fills the senses as well as the belly. Yet, come summertime when the stone fruit ripens a creamy caramelized nectarine pie is the talk of the neighborhood BBQ. Sharing it with someone you love! I love the crust and contrasting that with the inside! Plus the creativity and variety you get to put into the filling. the crustiness of the crust combined with the gooeyness/creaminess/juiciness of the filling! making up a pie and seeing how pleased my guests are to get to enjoy a classic dessert! 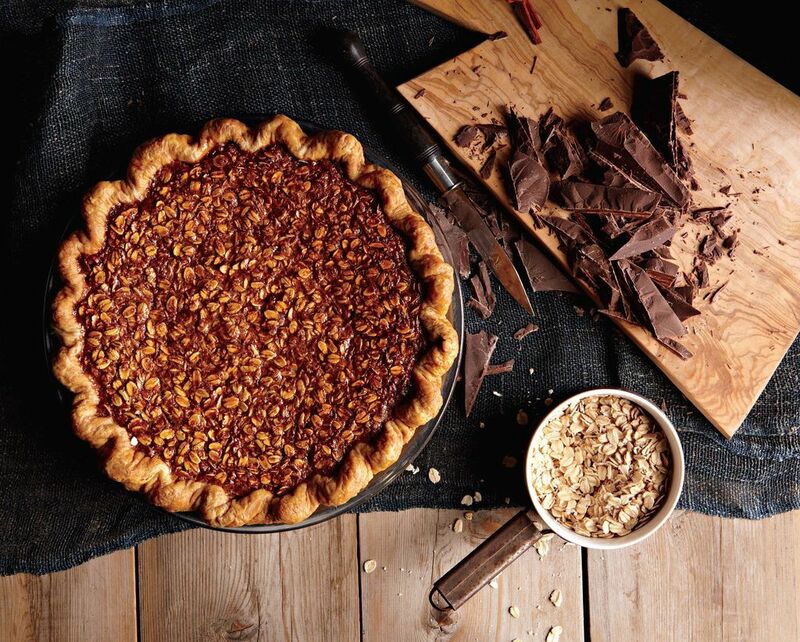 There are hundreds of desserts, but pie is the most delicious of all..there is something special about a pie and can be used for any time of meal..fancy or simple fare. Everyone likes pie! I love the perfect crust to filling ratio, the satisfaction when an apple pie come out bubbling and brown, the thanksgiving smell that fills my house as my pies bake, and that I can eat pumpkin pie for breakfast the next day! 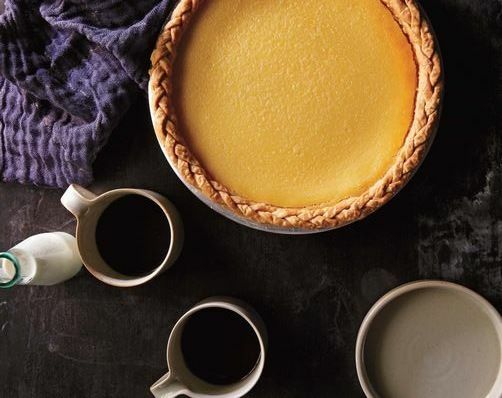 question: what is the pie that is the preview image for the "Everything You Need to Make the Perfect Pie" article? I love how versatile pie is! It can be made with fruity, sweet, or savory fillings. My favorite part of pie is eating it the next morning as leftovers with a strong cup of coffee! I love all the varieties that you can make, sweet or savory!